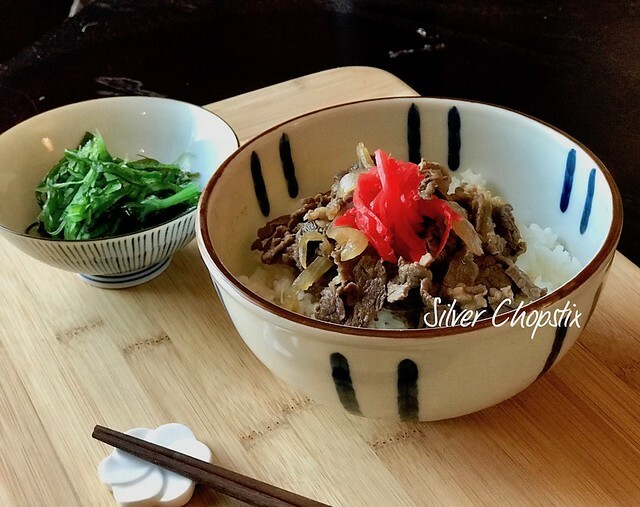 I had my very first taste of Gyudon when Yoshinoya opened a franchise in the Philippines back in 1992 at Robison’s Galleria. I didn’t become a fan since I found it bland and lacking in taste. The reason maybe because of poor preparation or even presentation. That franchise didn’t last long and closed it’s doors after less than an year of opening. 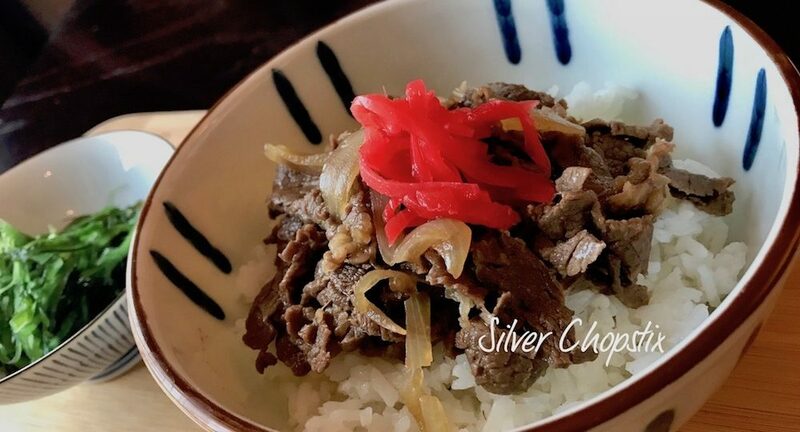 Since moving to the the United States, I have had bowls of beef gyudon at various restaurants which left me with a better impression of this dish. I have made my own to serve to my family on several occasions but have yet to find one that I really love, until recently. To make you will need some thinly sliced beef (I used thinly sliced ribeye), dashi stock, mirin, cooking sake, soy sauce, onion and ginger. 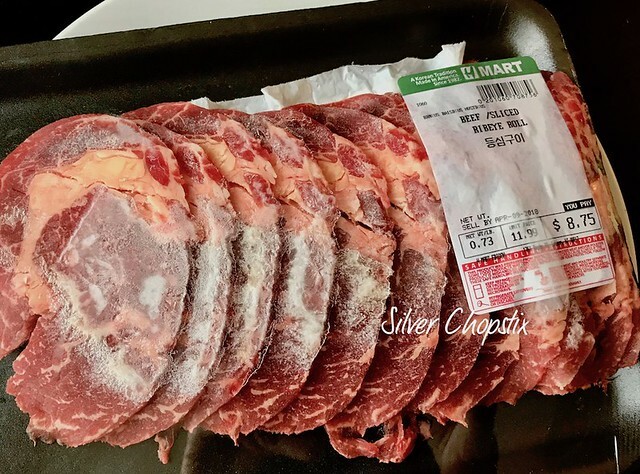 First, slice your beef further into smaller pieces and set aside. Cut a medium sized onion into half moon circles and grate a thumb size ginger. 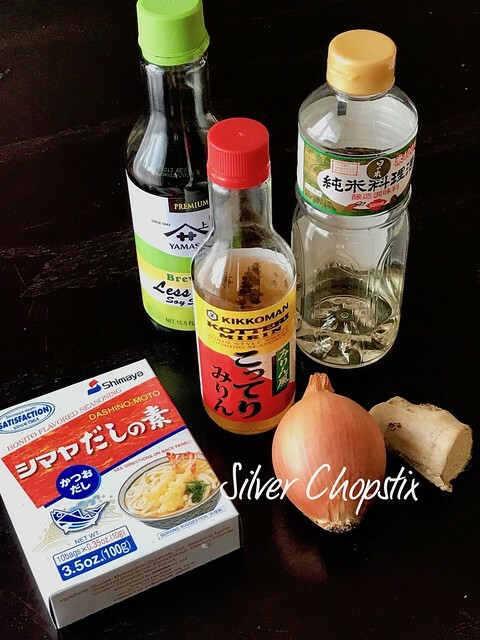 In a small pot, add the following ingredients: 1/2 cup dashi stock (I just used hondashi or in my case dashing moto), 3 Tbsp. sake, 3 Tbsp. mirin, 3 Tbsp. soy sauce , 2 Tbsp. sugar, sliced onion and grated ginger. Let this come to a simmer then add your beef slices. Allow to cook for about 10 minutes on low heat and let the liquid reduce considerably. Skim off fat and scum that may rise to the top. 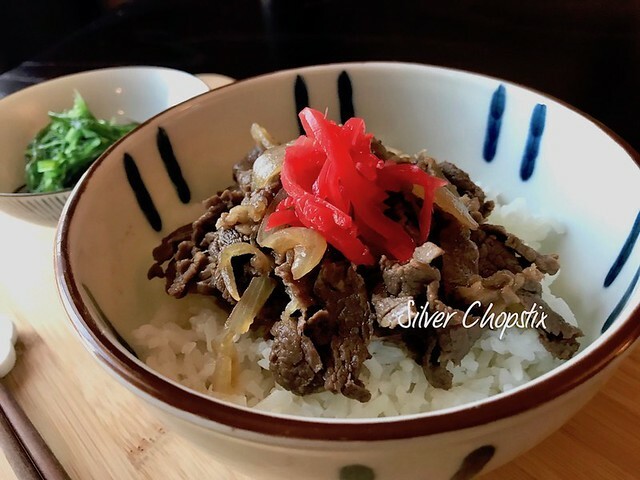 Fill two bowls with cooked white rice and top with your beef. Serve with beni-shoga (pickled ginger) and thinly sliced green onions (optional).